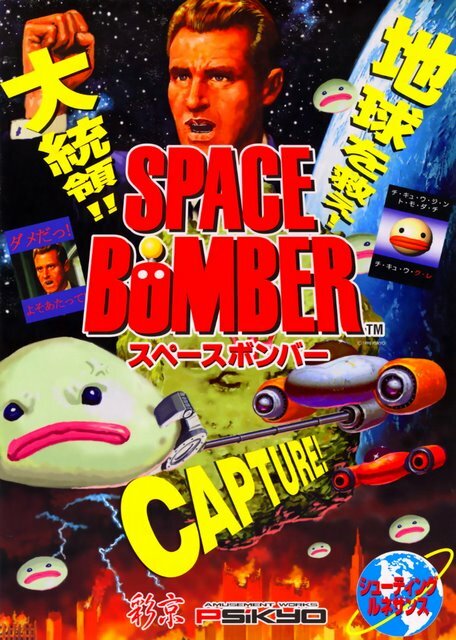 Space Bomber (c) 07/1998 Psikyo. 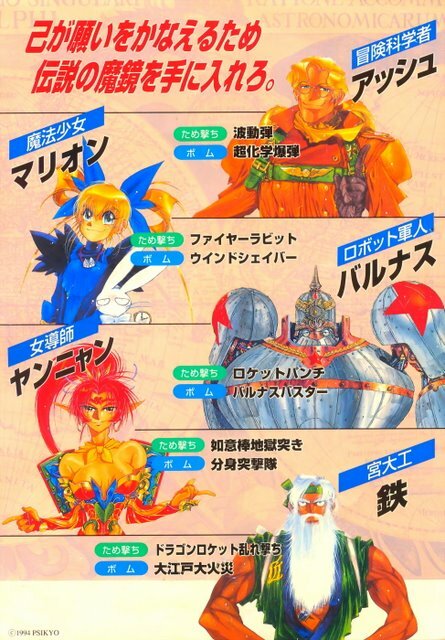 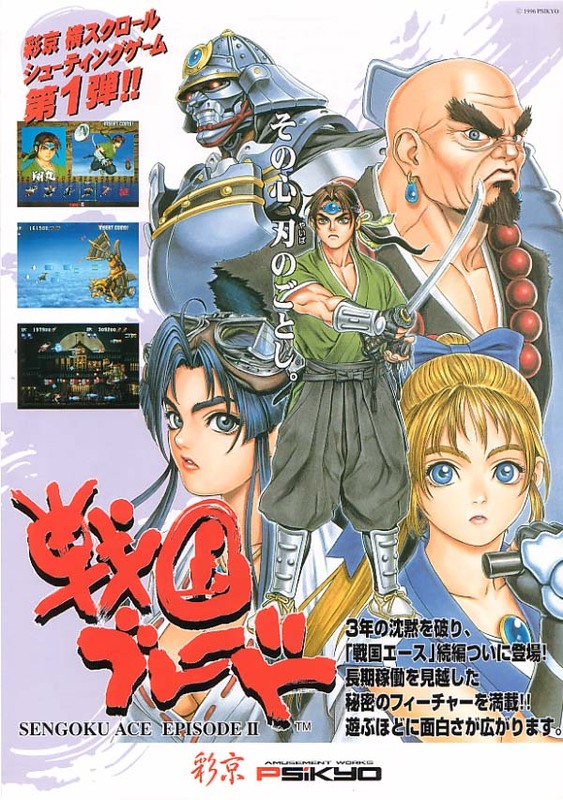 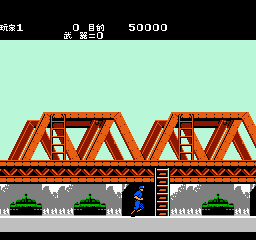 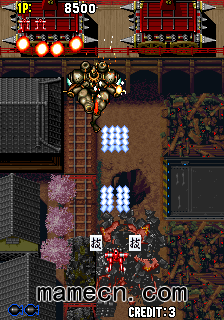 Samurai Aces (c) 1993 Psikyo. 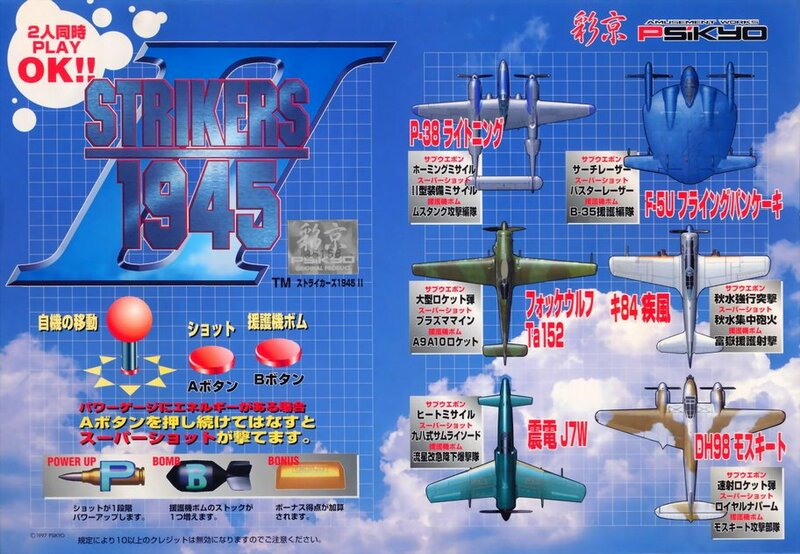 Strikers 1945 (c) 06/1995 Psikyo. 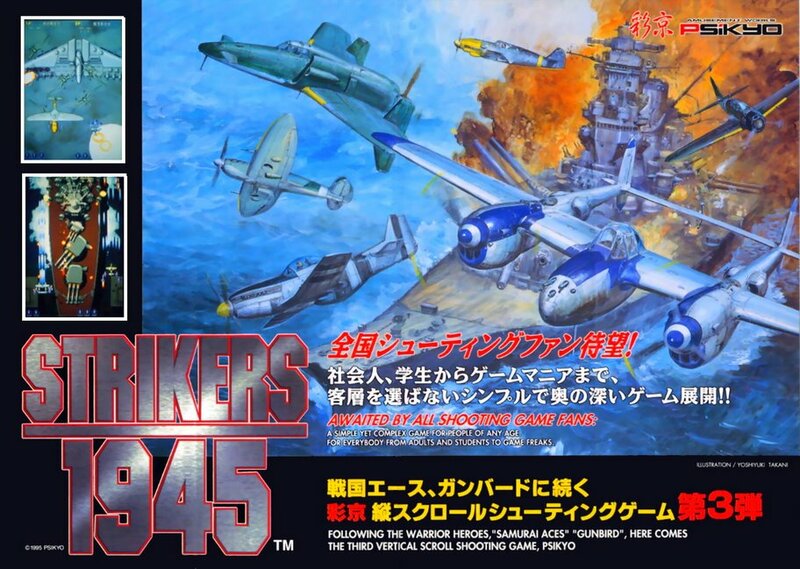 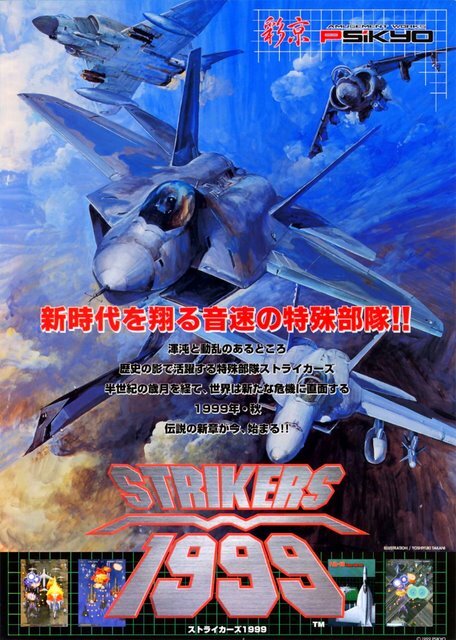 Strikers 1945 II (c) 10/1997 Psikyo. 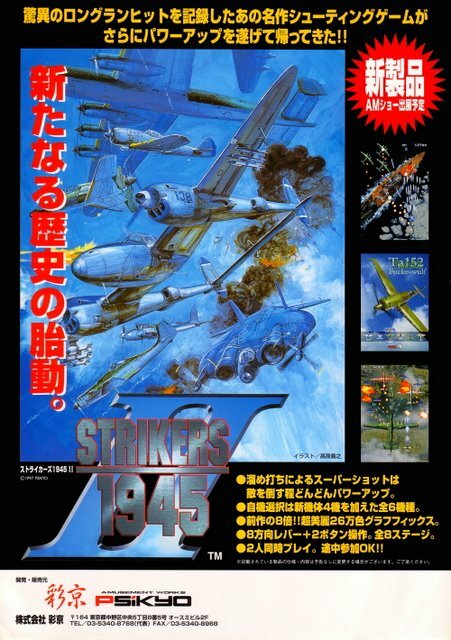 Strikers 1945 III (c) 1999 Psikyo. 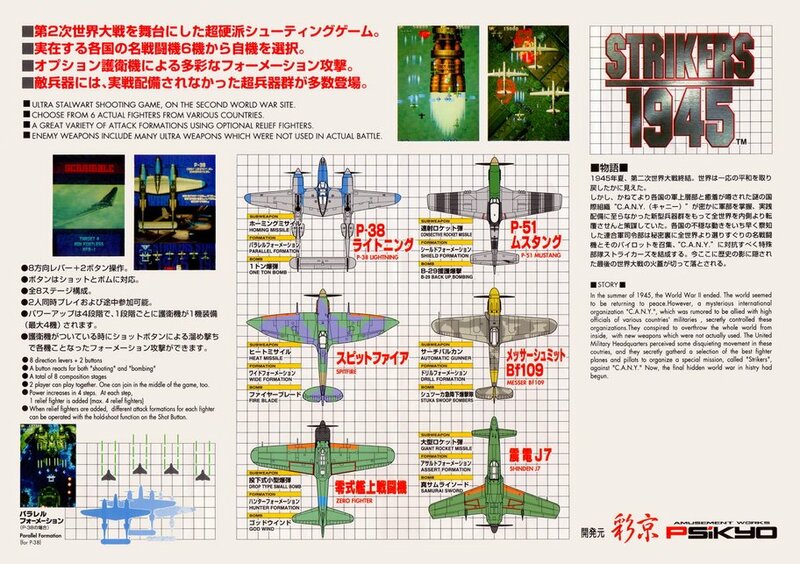 Strikers 1945 Plus (c) 12/1999 Psikyo. 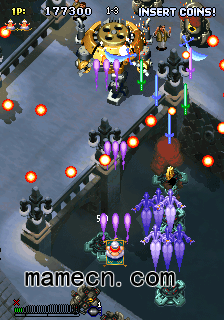 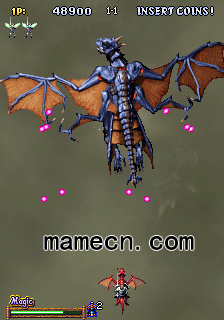 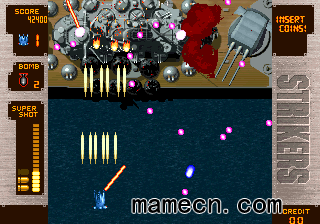 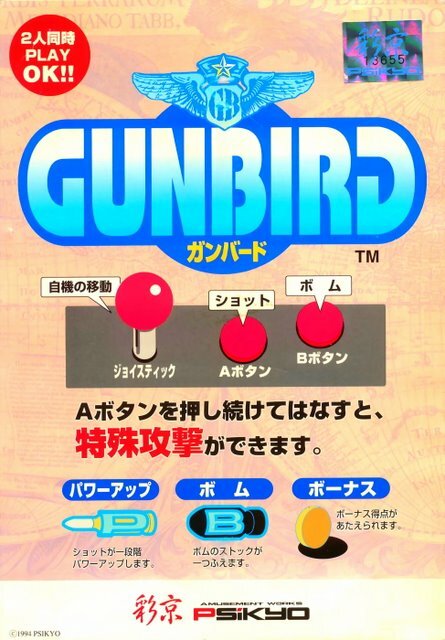 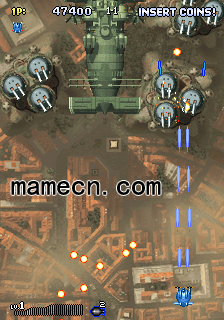 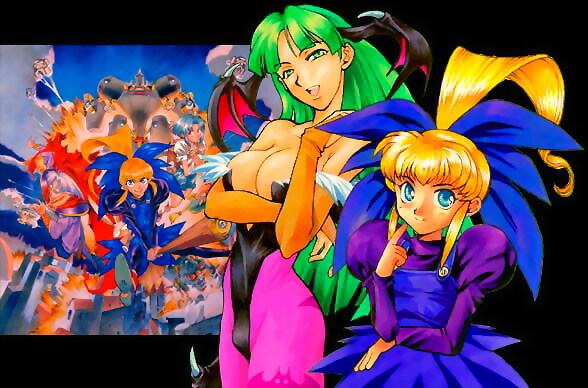 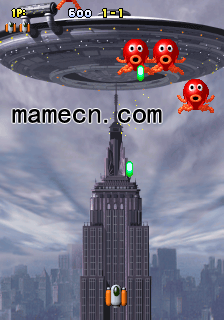 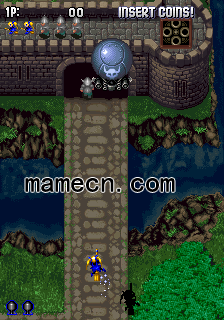 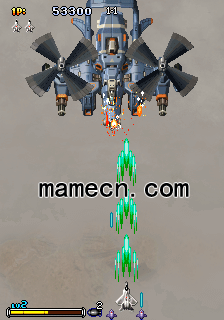 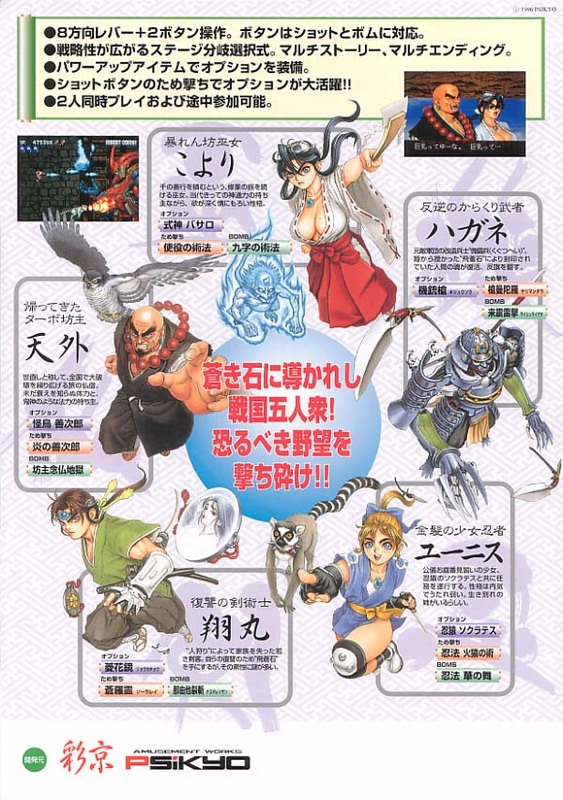 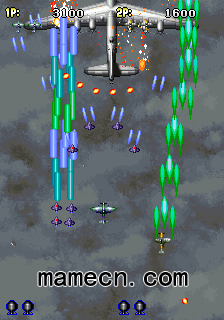 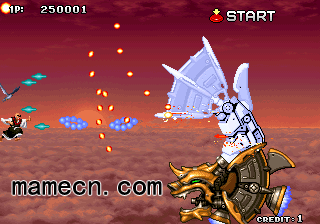 Gunbird 2 (c) 1998 Psikyo. 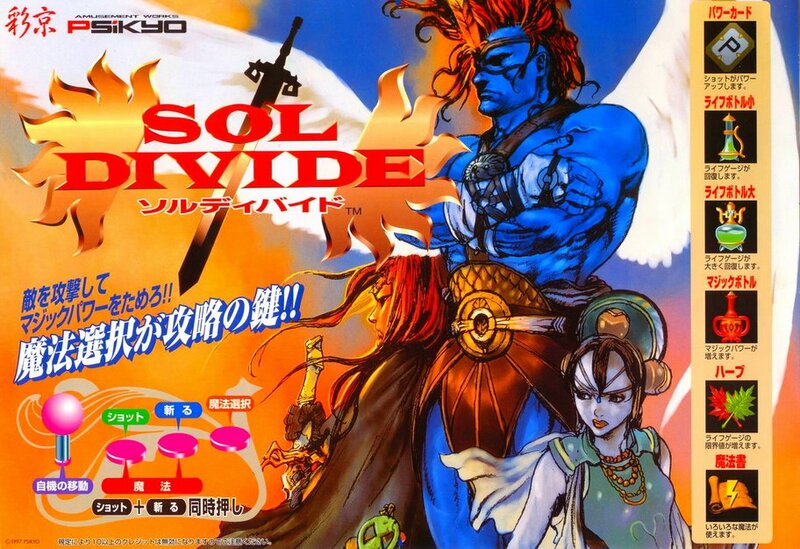 Sol Divide - Sword of Darkness (c) 05/1997 Psikyo. 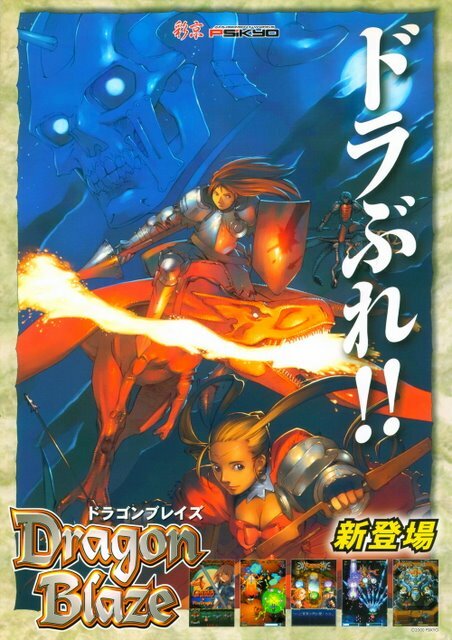 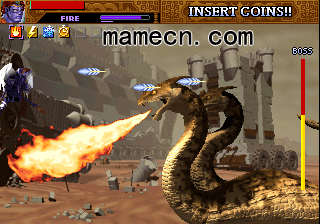 Dragon Blaze (c) 2000 Psikyo.